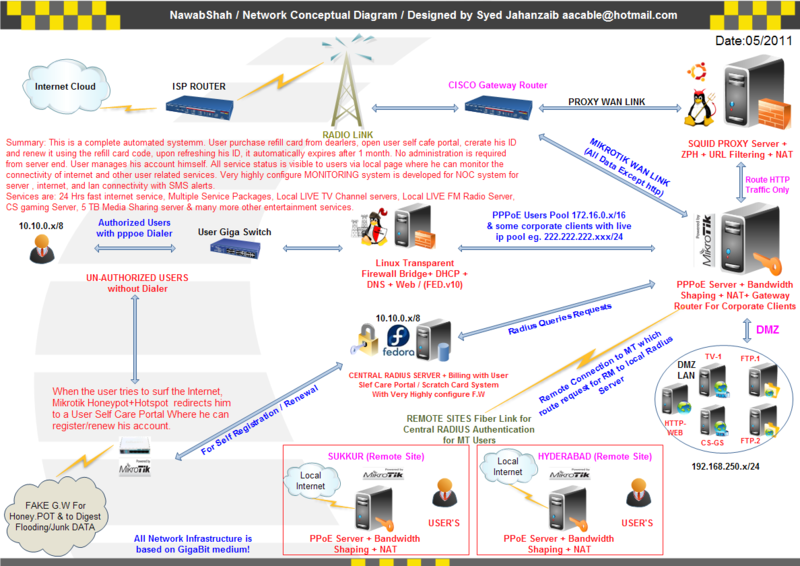 pppoe | Syed Jahanzaib Personal Blog to Share Knowledge ! Howto create Windows 7 PPPoE Dialer Installer Package using Auto-iT ! 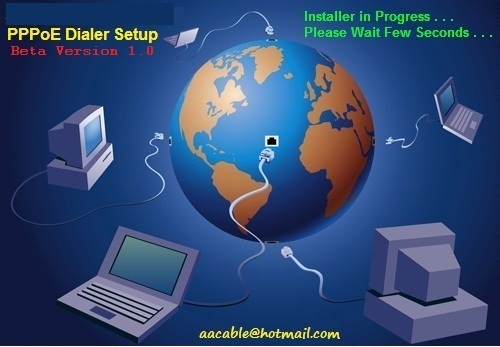 Following is a guide on howto to create Windows 7 PPPoE DIALER Installer Package. 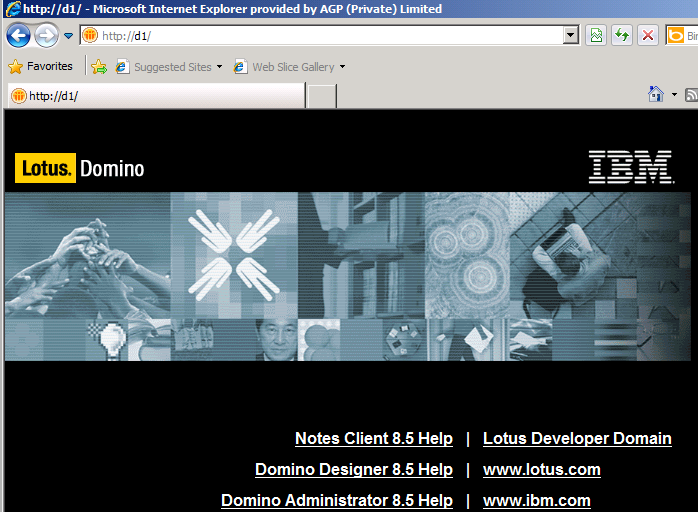 It is based on same principles as my previous Winxp PPPoE Dialer Script. 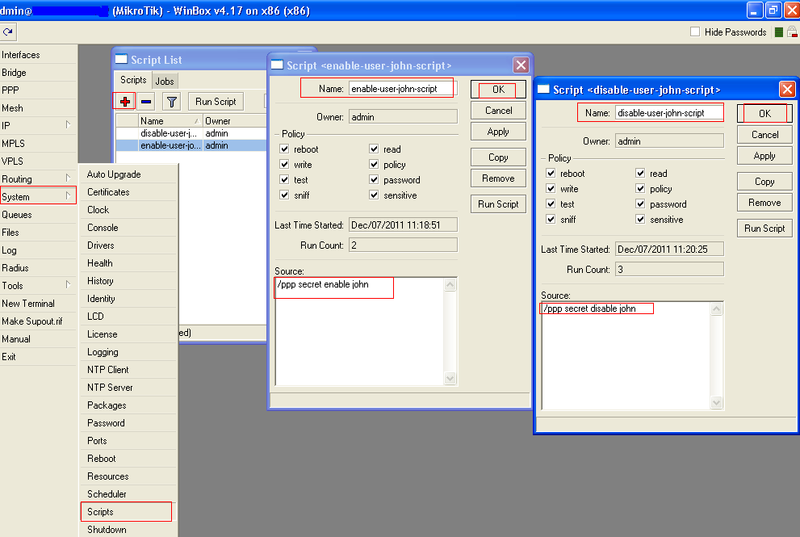 This script is made for Windows 7 Operating System Only, For windows XP/200x, please follow the below link. Following functions will be performed. # First it will ask you if you want to continue to install the Dialer. # After creating dialer, it will close the Logo and will show you the message that Dialer have been installed. This is not fully final Script, Few things have been left intentionally, Following functions will not be performed. 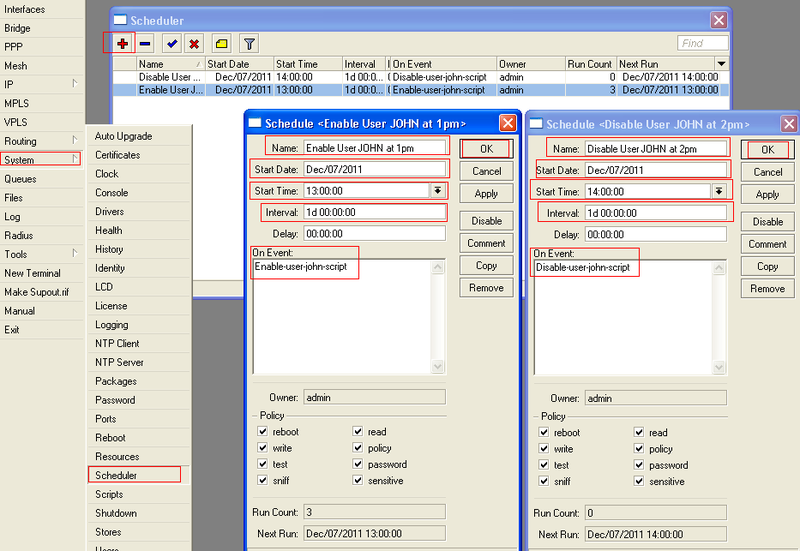 # It will not check Duplicate entries. For example, If you have installed the dialer, and want to re.install it again, It will not check duplicate entries, and will stop on DUPLICATE NAME FOUND, So please Delete Previously Created Dialer with the same name. Please check and Do Let me know the results. I have checked It on Windows 7 several times and working fine. The speed of executing functions in program can be + or – in some cases, It can be tuned with the $DELAY variable. I used Latest version: v3.3.6.1, Do full installation of AutoiT. Now an advance Notepad type windows will open, Just paste the following code in it. ; From you have launched dialer. ; Send 'c' to close. Now your script with source code is ready to be compiled in .EXE executable format so any user can install it like any other normal application. Now Open Tools and click on ‘Compile’ and it will compile the script in .exe format and it will save it to the Desktop or whatever Path You have selected. Now click on ‘pppoe-win7-dialer-installer.exe’ and it will install the pppoe dialer and place its shortcut on Desktop. Its always better to test the script fully before compiling it, as compilation is done when your program is fully tested and good to go. Howto exempt rate limit for FTP Server Behind MT DMZ in placment of Dynamic Queues ! Consider the following scenario ! 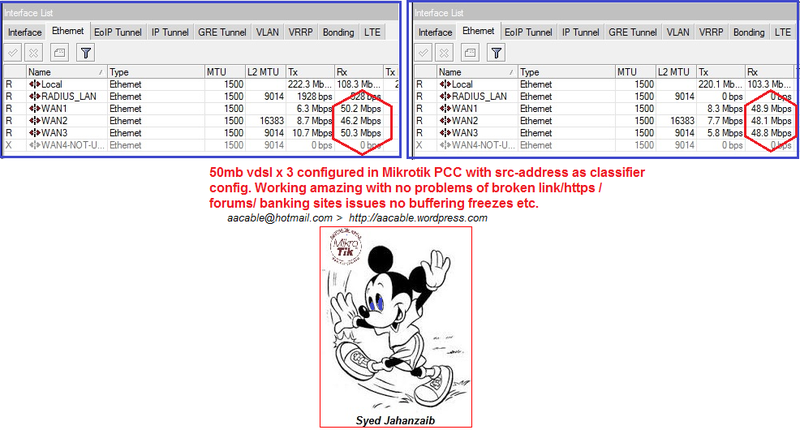 As you can see, FTP servers are placed behind Mikrotik DMZ, when user connects via pppoe server, dynamic queue is created for that user according to his package, lets say 512k, now the problem is this restriction also applied on local FTP server placed behind mikrotik DMZ, and we don’t want to limit speed for Local FTP. The solution I found was to make mangle rules that mark packets TO/FROM the FTP server, and add Queue tree at my desired speed or at line speed for those marks. This works for me. JUST MAKE SURE YOUR FTP SERVERS HAVE MIKROTIK IP AS THERE DEFAULT GATEWAY 🙂 This is important so that you can user original ip on the the FTP server rather then just mikrotik ip. 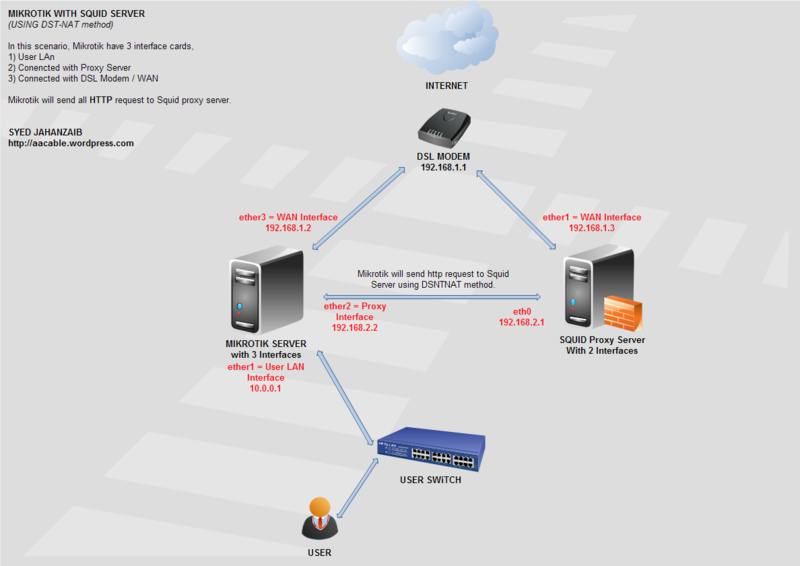 We have FTP servers hosted in DMZ (at separate port) having ip address of 10.0.0.x series. So we will simply create address list and add ftp server’s ip addresses in it. using of address have added advantage, you can simply add remove ip directly in this list, so you wont have to touch the rules again, plus you can use script to dynamically add remove servers ip, with timeout as well. add comment="Allow 3 MB FTP Download per user by zaib" name="ftp 1g" packet-marks=ftp_pkts queue=ftp-upload-3MB/ftp-download-3MB target=""
172.16.0.0/16 are my pppoe client ip pool. 192.168.250.0/24 is FTP server pool. Behind Mikrotik DMZ. ANOTHER EXAMPLE TO MARK TRAFFIC FROM SPECIFIC CLIENTS GOING TO X.X.X.X LOCATION. We want to mark traffic from specific users like expired users, and mark there traffic going to FTP Server, and limit there speed per ip. First mark traffic in mangle section , SOURCE should be EXPIRED USERS IP SUBNET , and DESTINATION should be FTP SERVER IP. add comment="FTP for EXPIRED USERS / 32kb PER USER " name="ftp queue 32k for expired users  pool" packet-marks=expired_users_ftp_access queue=ftp-upload-32k/ftp-download-32k target=""
FOLLOWING code will mark traffic for 1.5 and 1.6 and in queue it will create pcq base bandwidth to restrict 4mb per user. Also it will give priority to ICMP packets as well. 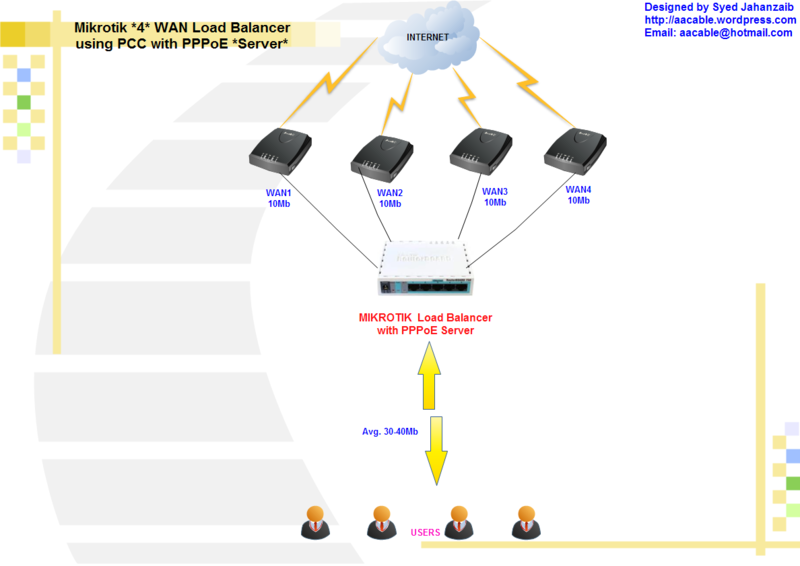 add max-limit=128k/128k name=ICMP_Hi_Priority packet-marks=icmp-pkt target=""
add name=FTP_10.0.1.6_DOWN_LIMIT packet-marks=ftp_1.6 queue=ftp-upload-4MB/ftp-download-4MB target=""
add name=FTP_10.0.1.5_DOWN_LIMIT packet-marks=ftp_1.5 queue=ftp-upload-4MB/ftp-download-4MB target=""